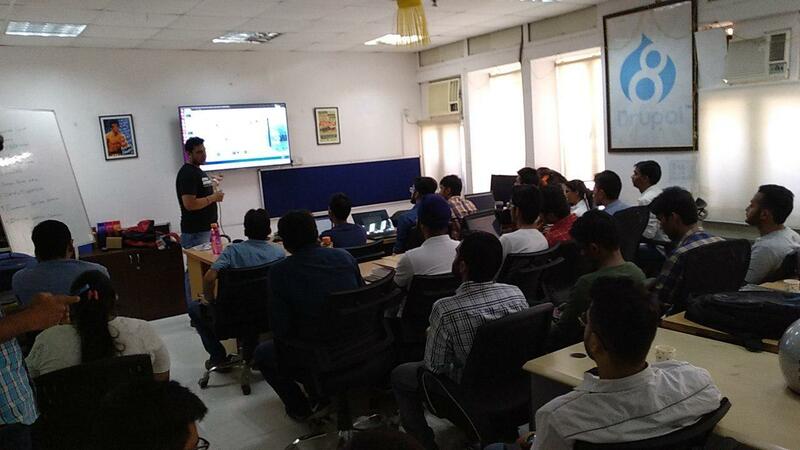 Hiring and Pitching sessions have been a part of PyDelhi events since the beginning. The session is scheduled close to the end of every event just before the closing notes. This blog is to help out volunteers and participants by putting organized structure to the entire process. Points raised below are the work of volunteers, open to discussion and will be shaped better with time. Close to the end of the event or by the schedule for Hiring and Pitching session, volunteers should open the etherpad link, preferably with the projector connected and invite the attendees to make their pitch one by one. If the person is not present, their details should be called out by volunteer themselves. After when the pre-submitted details are over, one of the volunteers should call folks from the audience to see if some of them would want to make a pitch. After the event is over, one of the volunteers should draft a mail with the details of Hiring and Pitching etherpad. Etherpad can also be used to draft the mail and can also be shared on PyDelhi Telegram group of Volunteers for one final review. After the review, mail should be posted on PyDelhi mailing list and other mailing lists of FOSS user groups in and around Delhi. Hence, we conclude one of the important sessions of PyDelhi.